Real estate is all about the numbers. the capitalization rate (CAP rate). Let’s get to the next 3 equations……..
Cash ROI= Cash After Debt Service (CADS) / Initial Cash Investment. 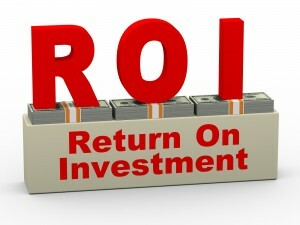 Cash return on Investment (Cash ROI) is also known as “cash on cash return”. As a lender you are concerned about how fast you’ll get your money back. The cash ROI is essentially the ratio of the remaining CADS to the invested capital. For example: If after the debt is serviced there is $5,000 left, and the initial cash investment was $10,000, you would have a 50% Cash ROI. If you were able to pay all cash for the building. (Wouldn’t that be nice!!!) then the CAP rate would be the same as the Cash ROI. Many investors use Other People’s Money (OPM) though, so the cash return then is a function on the return of your invested capital. When you don’t have the benefit of an all cash deal, then DSCR comes into play. This number is very important to lenders as it shows your ability to make your payments. A DSCR over 1 means the property is generating enough income to pay the debt obligations. If you don’t meet the minimum ratio requirement of your particular lender, there is a chance you may not get financing for your deal. There are several factors that influence the DSCR requirements including the condition and age of the building, your borrowing strength and the loan-to-value ratio. 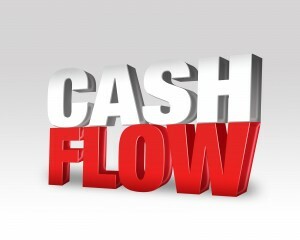 Cash flow is what is left over after all the expenses and debts have been paid and serviced. It essentially equates to the money you will receive as profits from all your hard work. Once you learn how to invest in real estate you’ll want to run these simple calculations. They will go a long way in helping you determine the value of a property. They will help you decide whether it’s a sound investment and whether it provides you with a healthy passive income that will bring you one step closer to financial freedom. Simple Acquisitions performs detailed financial analysis on every property before deciding whether or not buy. If you want to know more about how to invest in real estate or how to analyze multi-family properties further, check out our video on the initial analysis we perform prior.